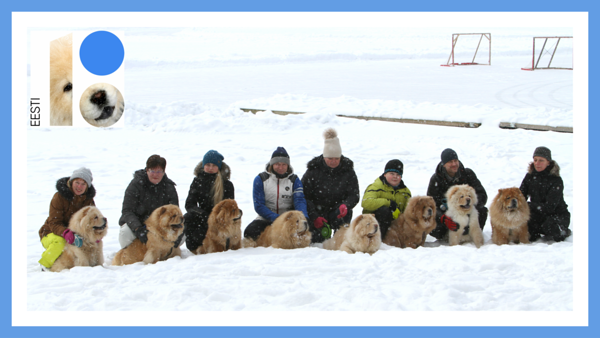 On February 17, 2018, the Estonian Chow Chow Club celebrated the beginning of the Chinese Year of the Dog and the 100th Anniversary of the Republic of Estonia by hiking together with our dogs in a 6 km long forest hiking trail in a beautiful place in Estonia called Nelijärve. When god created the world, one dog was allowed to lick up the pieces of sky that fell to earth as the stars were set in place. That dog was the chow, and ever since chows have had blue tongues.